Blood transfusions are among the most common treatments for hospitalized patients nationwide, but doing them less often reduces infection rates by nearly 20 percent, according to a study in the Journal of the American Medical Association co-authored by Neil Blumberg, M.D., professor at the University of Rochester School of Medicine and Dentistry. 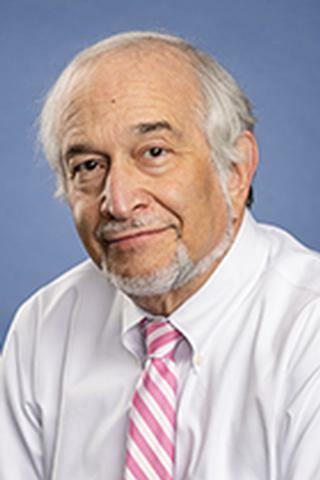 As director of transfusion medicine and the blood bank at UR Medicine, Blumberg for more than 25 years has been investigating how to make blood transfusions safer. The JAMA study is the first to show conclusively, through a study of 18 randomized clinical trials involving 8,735 patients, that fewer transfusions save lives, he said. He compared the sea change that’s occurring in transfusion medicine to the 19th and 20th century recognition that hand-washing reduces infections. Prior studies suggest that when donor blood is introduced into a patient’s body, it suppresses certain immune functions, particularly the cells that fight infection. However, the exact mechanism of action is not clear, Blumberg said. The JAMA research was in collaboration with a team from the University of Michigan, led by Mary Rogers, Ph.D., research director of Michigan’s patient safety enhancement program. Blumberg and Rogers have published a series of eight important papers on transfusions during the past decade. In this study, researchers conducted a meta-analysis of randomized trials divided into two sets: liberal use of blood transfusions and restrictive use of transfusions. They found that a restrictive transfusion strategy was associated with an 18 percent reduction in healthcare-associated infections such as pneumonia, wound infections, and sepsis. This suggests that for every 1,000 patients for whom a red blood transfusion is being considered, 26 would be spared an infection if physicians took a more restrictive approach. In addition to alleviating patient suffering, the potential cost savings are profound, Blumberg said. Approximately 14 million hospitalized patients a year receive transfusions, the study noted. And infections cost hospitals in the United States an estimated $28 to $45 billion annually, according to the Centers for Disease Control and Prevention. Each infection typically requires an extra $50,000 to treat, and many patients who get infections are already seriously ill, Blumberg said. Professional medical organizations including the American Society of Hematology have selected blood transfusions as one of the five things doctors should question in a “Choosing Wisely” campaign. Locally, Strong Memorial Hospital and other affiliates of UR Medicine are leaders in reducing infections through fewer transfusions.